If any of these are missing, please contact me at kits@surprisingedge.com and I’ll arrange a way to get you the missing parts. Be very careful not to lose the magnet. It’s very strong, and quite small, so it has a tendancy to attach itself to tools and other metal objects which could then “walk away”, taking the magnet with them. I recommend taping it to the outside of the project bag, so you’ll be able to find it when you need it. 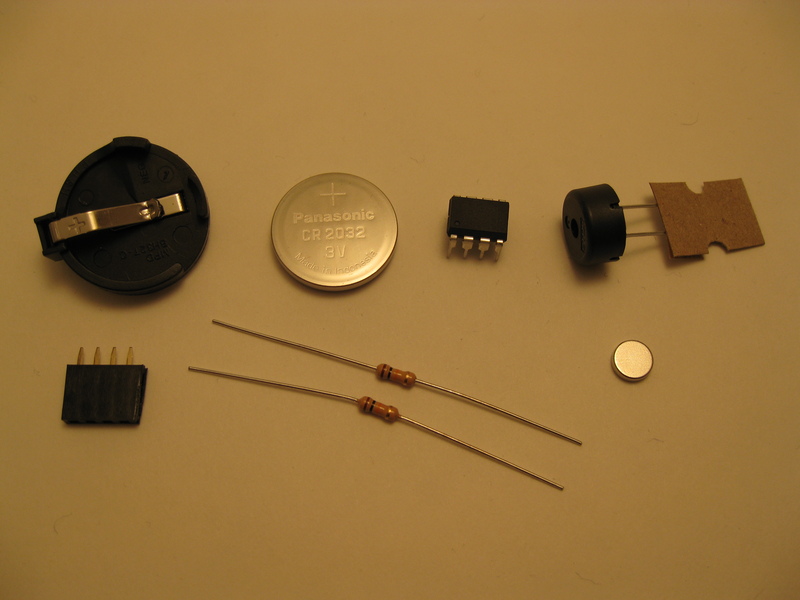 It’s recommended that you be proficient at soldering before attempting this kit. Since this kit is not assembled on a PCB of any sort, some of the soldering can be somewhat tricky. 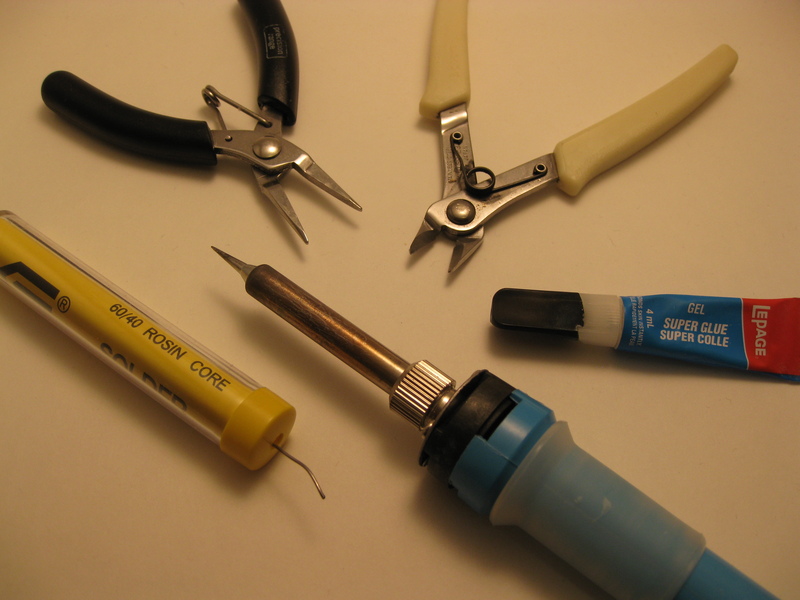 Using a third hand (human or mechanical) may make some of the soldering easier. Ladyada’s website has some links to soldering tutorials that you may find helpful if you haven’t soldered vey much before. I would suggest practicing on something else, before trying this kit.